In a rematch from October 22, where Memphis won 92-84, this promises to be an interesting matchup. Memphis has won four of five games since being blown out by the Pacers on opening night. 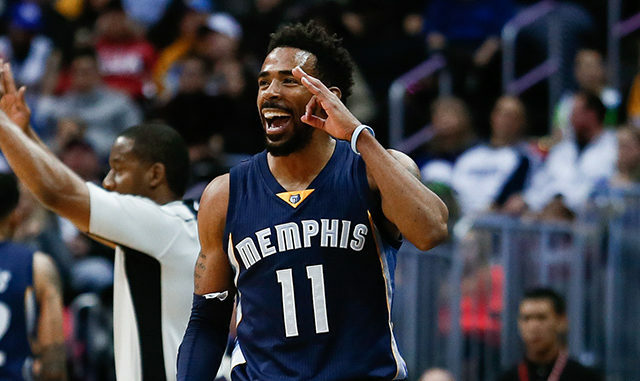 Mike Conley being back has really made them look like the playoff team they were two years ago, again. For Utah, Donovan Mitchell and Rudy Gobert are leading the way again, as they look to make their way back to the postseason. Things haven’t fully clicked yet, but they are getting there. The Jazz are -7. Yes, the Memphis Grizzlies are back to playing competitive basketball. Mike Conley is leading the way with 19 points and 6.2 assists per game, with Marc Gasol not far behind at 15.3 points, 8.2 rebounds, 3.5 assists, and 2.0 steals per game. Memphis is making 11 threes per game on 29 attempts, not a ton of tries, but more than the earlier 2010’s Grizzlies teams would take. They’re launching them and hitting a high rate. That has been huge to their success. The addition of Garrett Temple has proved to be an excellent one, as he’s averaging 14.3 points per game on 51.6% from three-point land. He’s also a terrific wing defender. Chandler Parsons already suffered a big injury (who can say they are surprised? ), and Jaren Jackson has proved to be decent. He’s not shooting well from three, but is averaging 11.5 points, 5.2 rebounds, 1.17 steals, and one block per game. They should match up well with Utah. Led by the young, energetic Donovan Mitchell, Utah exceeded expectations last season, also boasting one of the league’s most underrated supporting casts. Mitchell is averaging 23.3 points and 4.4 assists while shooting 45% from the floor thus far. Gobert has upped his scoring significantly, as he’s averaging 18.3 points, 13.4 rebounds, 1.43 steals, and 2.71 blocks per game. He has been terrific for Utah, as his game continues to only improve. Joe Ingles is averaging 14.4 points and continuing to hit threes at a 40% clip, while Jae Crowder is averaging 13 points and around six rebounds a night. Ricky Rubio isn’t scoring at the clip we saw last year, but at seven assists per game, he is continuing to find his teammates for open looks. This is a team led by a fantastic, but insane head coach in Quin Snyder. He knows how to make the offense work, and how to get his guys to work hard for one another. And, as long as he is around, they will continue to be competitive. Yeah, we’re riding with Conley, Gasol, and Grizz nation tonight. JB Bickerstaff has done a nice job in his first full year at the helm, and that won’t be stopping. The game will be pretty close, but Memphis will emerge as the victors.